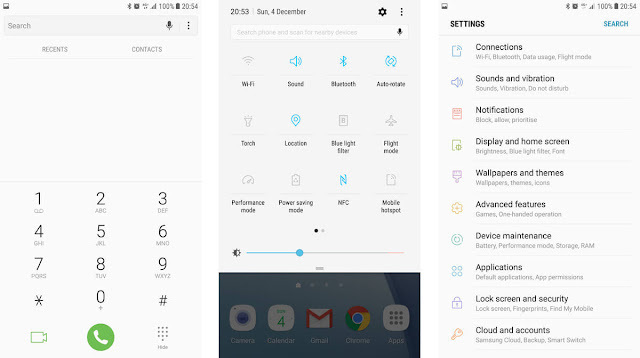 Home » News » What are Best Features of Android Nougat on Samsung Galaxy S7 Edge? 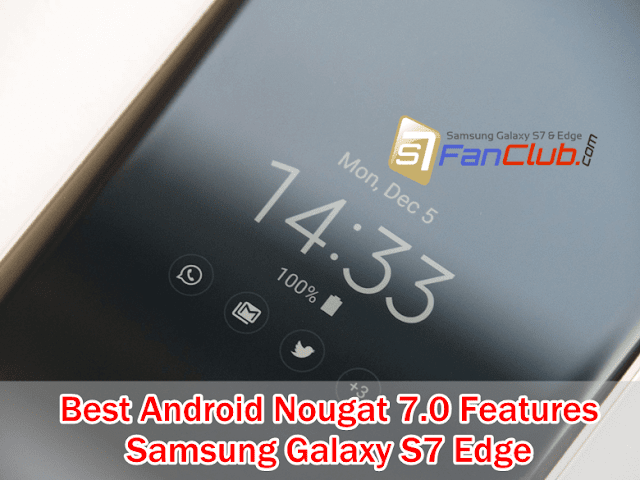 What are Best Features of Android Nougat on Samsung Galaxy S7 Edge? Being a Samsung owner, you might not get the release updates for the software on your device first, as Motorola and LG are normally the Android devices that take the first step in doing so. Fortunately, this is not the case for Android Nougat 7.0 for Samsung Galaxy S7 or Edge. Samsung has opened up the Galaxy Beta program for the S7 and S7 edge owners, before any other Android devices and manufacturers could. So, if you are one of these devices owners and wondering of what to expect from this Beta version, we have got you covered. Let’s take a bird’s eye view of Android 7.0 Nougat Beta on Samsung Galaxy S7+ S7 Edge. After the in-depth use of this version of Android Nougat, I have found number of amazing features that you ought to know in your phone. There’s a lot to see, but I have rounded up some important and prominent features, that you need to know so far. With the most improved UI, Android 7.0 Nougat has revolutionized the way Samsung phones looked. The days are gone when you have to buy a whole new phone to get updated UI. With this Nougat version, you can transform the looks, fonts, lights and accent of your S7 edge and S7 wholly. The icons, themselves have tweaked resulting the interface seemed to be much refined and efficient. The settings of a single down have become completely customizable, through which you can add or remove the shortcuts and quick settings. Another stark change that the Nougat has brought about the in the S7 and S7 Edge is the revamped settings menu, that offer the entirely transformed settings list. This makes the settings much easier to customize and navigate through. Each of the categories in the menu is listed with the bold font. Other prominent addition in the Settings option is “Looking something else?” option, that offers you different suggestions for you to select. If you are bothered by some unused or heavy apps that you are not using for days then you can put them to sleep for the time period you want. 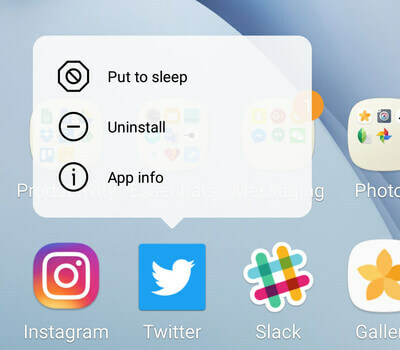 Yes, this is the new completely awesome feature in the Android Nougat that allow you to manage the power of your phone, by putting unused and niggling apps to sleep. This feature will not uninstall the app; instead it could help recover more power hungry apps in low battery conditions. With advanced features in the Nougat, how can it forget the Display of your Samsung Galaxy S7 Edge? Android Nougat 7.0 allows the users to scale down their displays to a lower resolution, as in power saving mode. 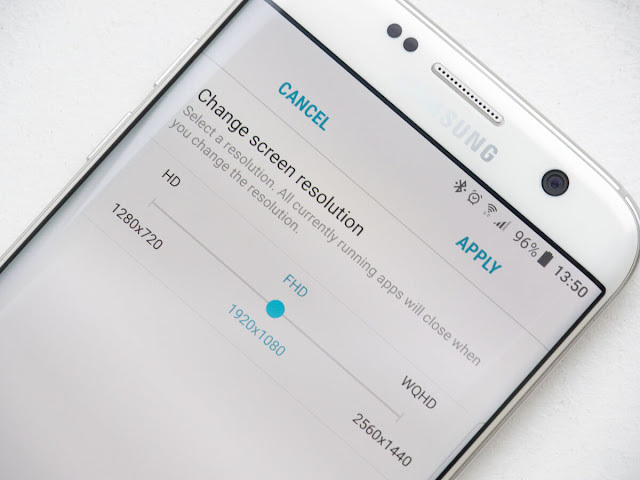 The phone automatically scales down the display to 1080p by default that you need to change in future, if you want to enjoy full high energy HD resolution display later. Samsung’s version of Android Nougat has put some improvements to the display as well, that make it much more functional. With the customization, you can see the notifications for different apps, in addition to date, time, battery level and calendar appointments. But this feature is much battery draining, that you need to switch off, when your phone is in starving condition. Besides this, the blue filter, addition of device maintenance area, increased performance mode and split screen features are also worth mentioning here. Which feature of Android 7.0 Nougat version do you like on your Samsung Galaxy S7 Edge? Be sure to share your thoughts with us in the comments below. Top 5 Android 7.0 Nougat features for the Samsung Galaxy S7!